Stay tuned for upcoming events for Wellman Road Run 10k, 5k, 3k in near future. 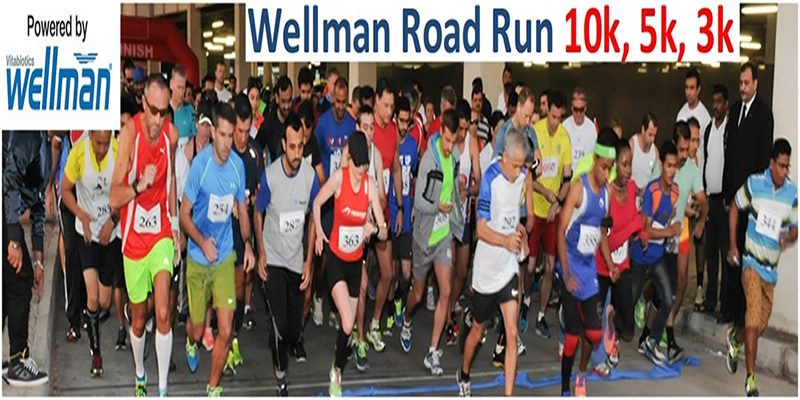 Wellman Road Run, a fabulous 10km, 5km and 3km mix community race is going to take place on the safe, traffic free and private roads of Meydan with the start and finish at The Track Golf Clubhouse in Dubai, UAE. The 10km winners in each age category male/female will receive special gift and trophies. Prizes will be given for overall winners in each distance. Medals, gifts, and lucky draws for all participants are included. ''Team Sports UAE'' is an organization arranging various sports activities like road run, walk and including many others. Team sports UAE all in all a hub for sports events. we believe in team spirrit and team work. the passion of sports is at the core of our business. our primary motive is setting and achieving the targets enabling the people to achieve their highest goals in sports. Terms & Conditions : Team Sports UAE reserves the right of admission to the venue and event. Best Viewed at 1024 x 768 pixels and above. This Page loaded in 0.11769 seconds on Fri, Apr 19, 2019 (06:41).